Elisabeth Paetz photographing heros of today's round; German player also made a quick draw yesterday but without the "show"
The game between the leader ot A-Group Tata Steel Chess Levon Aronian and one of his nearest rivals Anish Giri finished in a draw. 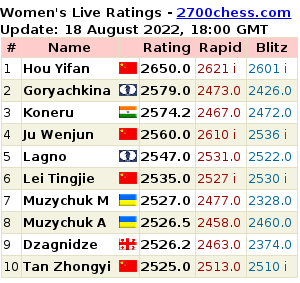 Wesley So and Vassily Ivanchuk who are perfect after three rounds at the round-robin competition in Edmonton will face each other in the 4th round.Sam Shankland and Irina Krush are half a point behind them. Dmitry Jakovenko replaced Saric in the shared lead position two rounds to go. Russian GM may be following a balanced tactics: he defeated two outsiders (at the time those games were played) Bologan and Sutovsky. 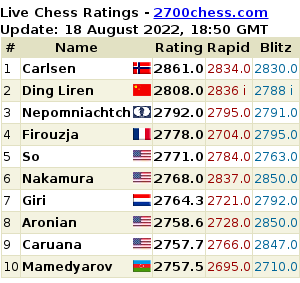 Then he made two short draws with the compatriots, today he won an important game against the grandmaster from Croatia. The Dutch championships have started in Amsterdam. Two rounds are already behind - as men's, sowomen's sections have solo leaders by now. "Am I Tired? Well, a Bit..."
Take a look at the endgame of the encounter that has just finished in Khanty-Mansiysk.